To Sharp Campus and a decent verbal punch-up on Manchester’s future as a Tech City. At #event004 to hear about Manchester’s future as a city for startups. Managed to make it to @sharpproject for #event004 & see @MartinSFP after slog from MCUK. Interested to see how relates to @BBC_Connected. Ian Aspin introduces Elizabeth Varley of TechHub and Martin Bryant of The Next Web. Elizabeth says that they focus of tech led product companies especially start-ups. TEDxManchester – Martin Bryant – Where Are the Manchester Startups? Drinking beer and sitting at the back at #event004. Should I heckle? Just for kicks. Simon Swan asks about the creative environment in Manchester – we have the music industry can we really upscale into serious business?Martin says we need an attitude that treats tech entrepreneurs as rock stars – why not. Talks about VCs wearing suits. Need a punk attitude. It’s about getting out there and doing it. Similar to the way a new band might go out. Ian says isn’t the passion enough? Can we find people over social media? And then maybe meet them. But I feel connected. My community is in the phone and on Twitter. I can hang out with people. There is something to be said for actually meeting people says Martin – and there s a sense of belonging to place. Elizabeth says she agrees and that the “bumping into people on the street”. Not everyone can approach mentors or ask for help – facilitating introductions and helping people to meet. We need to include people who may not be quite so socially outgoing. Question about critical mass and whether wealth and critical mass can spread from London. And Tech_Britain raises the issue of finance. Elizabeth says it’s not the £5m we need it’s 25k – or maybe £10k. We need to look at very early stage businesses into which those who’ve done well in other businesses can invest in early stage business. Stuart Smith – the investment question is very complex. Been going for 4 years and he feels there is an obsession about finance and not enough focus on trade. Trade will build economic recovery he argues and it needs a build up of trust in new business. Point from tenant about investment – we have a free model and we have revenue down the line; funding is problematic give that we need to build up users and our value in its user base. Web businesses can fail or succeed quickly – it’s about spread bets for them – often Angel funds. Problem is there’s lots of these new businesses and that means that the barriers to them getting funding are higher. Ian is asking who from Manchester is just going to build something and get on with it. Participant says it doesn’t matter whe the money comes from – why is it a problem going to London for money?Andrew Barlow of Applearn and Andrew Mullet have joined the panel. Andrew says he hasn’t got an investor – we might need an investor to help build machines. We don’t want an investor. Andrew says he helped to start Manchester Confidential – and he doesn’t see the funding thing. Interested to hear of a lack of infrastructure in mcr at #event004. I agree we need to be more supportive, collaborative & collective. Ian says we need to go back to our “Grandad’s business model” sell stuff that people want to buy. A participant says that no one should go for a big bang exit company – certainly not in Manchester. It is true that some businesses need a runway – but that is not true of all of them It’s all about the people and the atmosphere. Ian argues that there’s not much missing – we need to attack the right people. Shaun Fensom has joined the panel and he says Manchester has the 2nd biggest tech scene in Manchester – big enough to have scale; small enough to be able to bump into people. Ian says “do they push themselves to do things they couldn’t do without your Hub” to Elizabeth Varley. She says the important thing is the challenge you get from those around you. But sometimes people just have to push on. A frustrated entrepreneur speaks from the back of the room. He says in Boston most of the people wanting to do startups the are in there twenties or even in their teens. Also we seem to have a much more stratified or structured market and this inhibits working across boundaries. Over focus on big companies. Missing link is bringing disciplines together and helping young people to get more involved. Mentions the endowments of the big US universities. A participant says he set up a business and grew it organically. He ended up selling it and getting the same amount of money as someone who set up with equity investment. Both were people-based companies. An exit route is a bit more complicated – and potential buyers will also point that out to you. “Today INCA launches a Special Interest Group for ‘Ultra-Connected Smart Cities’ – those cities in the UK working to improve their digital infrastructure. The launch event at Manchester Town Hall has attracted a large audience wanting to find out what cities like Manchester, Bristol and Derby are planning. They also have an opportunity to hear about major private sector initiatives, including City Fibre Holdings plans for commercially-funded urban fibre to the home (FTTH) networks, and new wireless broadband initiatives. Sarah says that the project was much bigger than the video shown today. “It really punched above its weight”. The making of digital objects was an important act of the project – reflecting back progress. Choreographic Objects: traces and artifacts of physical intelligence Principle and Co-Investigators: James Leach (Principle Investigator and Award Holder)Department of Anthropology, School of Social Science, University of Aberdeen Sarah Whatley (Co-Investigator)ceMAP, Coventry University Scott deLahunta (Research Fellow)ARTI, Amasterdam School for the Arts, NL Project Partners: Art Research, Theory and Innovation group, Amsterdam School for the Arts, NLWayne McGregor | Random DanceIntel, People and Practices Research Choreographic objects: traces and artefacts of physical intelligence is the title and focus of a series of three workshops centring on the output of four research teams working in collaboration with the choreographers William Forsythe, Siobhan Davies, Wayne McGregor and Emio Greco PC. Paul talked about ephemera and digital objects such as the BBC indents (the hippos) and their relationship with RedBee media. He was very insightful on the dynamics of ephemeral content and the persistence in people’s minds not designed by its creators. Clare Reddington says that the Digital Economy is a lot about enabling people to reconnect with the physical world with the help of digital technology. It’s about the layering and richness of experience. “We have to do better than Minority Report”. It’s about experiences. And the way digital changes the way we live. There is a speed function (cites Agile). Temporality and the creative economy. Bill Thompson says he has a problem with the term Digital Economy – and the concept. It needs to be about making the invisible visible. We want to liberate the BBC archive. Sarah says we want more than the value of models and templates. We are seeing a proliferation. It’s also about engagement and values -both material and ethical. The future has to be about re-use of material. And new creation from combining these objects. Paul Grainge says that he does not have a problem with the word content and there is ‘blurrring’ between disciplines. Sarah says we are seeding the emergence of short-lived digital objects that don’t persist like photos or written documents. Big discussions going on about archiving across different disciplines. And changes in the way archives are and can be used (such as pictures of children). And how about reputational issues of researchers ‘private’ notebooks. Bill points out that the BBC has great difficulties in looking at the digitisation of archives and a ‘duty of care’ to the participants. The issue of online identity and provenance. How do you verify who can see it? Andrew Burn – says that clearance has been an import aspect of his work especially about images of children. He agrees it needs to be handled carefully. Bill Thompson says “it’s just trees into the swamp” as far as our level of progress is concerned. Sarah says we need to make the ways of entering art objects such as archives familiar. #beyondtext art students self-archiving and speakers at conferences having more than one conversation! Semi-digitised existence – and multiple conversations. Says Rebecca Kill. Creativity beyond text – where next for the Creative Industries? Rebekka says it’s interesting that there is a ‘where’ in e title of this session. Was what we did really radical – at music festivals; would it have been more radical at a shopping centre or in a University. Environments for Encounter Award Holder Dr Alice O’Grady Higher Education Institute University of Leeds Partner Organisation Rebekka Kill, Leeds Metropolitan University Our proposal explores the phenomenon of relational performance within contemporary music festivals as an emergent genre of creative communication. Rebekka says this is the first time she’s seen the video – it was e-mailed to her this morning. Dani Salvadori says she sees convergence in the ‘college’ job at Central St Martins; whereas in her university job at University of the Arts she sees divergence. Companies and students coming together – not a hard sell on either side. 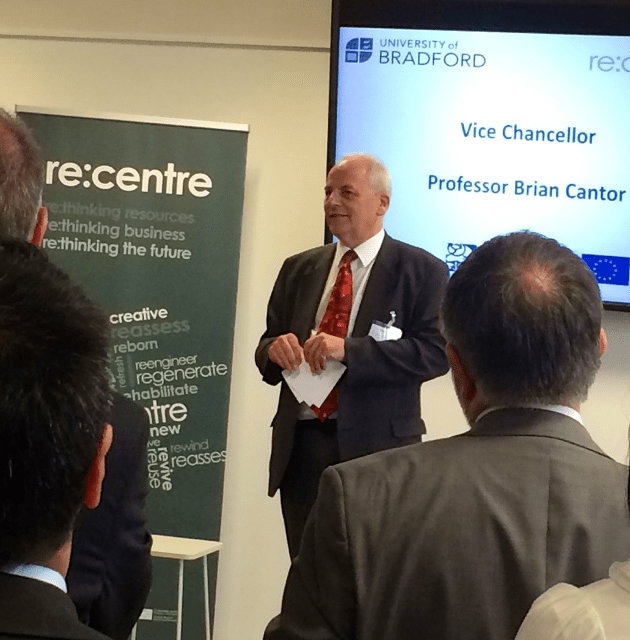 On university side sees divergence – means dealing with Science and Technology – this is largely a b2b role. She says that there is too much operational thinking and British businesses risk being left behind. It’s not just business – it’s also in science, technology and engineering education – too narrow. Jeremy Silver says I have two jobs too: advising the TSB on Creative Industries and trying to help get the money spent wisely. And the rest of the time he works with small companies helping them to do ‘real stuff’. And he says that we haven’t updated our definitions of the Creative Industries. And these don’t help – especially when the redefinitions of terms seem to reduce the size of the industry. The main problem facing the industry is what Jeremy describes as the incumbents’ dilemma and their difficultly in working out how to change. Legislative change – says the Digital Economy Act drove people further apart. We have an inexorable drive to be businesslike – but we don’t all have to be businesses – not everything can become a business. Let’s not force everything into becoming a business. Sally Taylor says that she works between Universities and culture. The list of 13 captive industries has lasted since 1997 – and is probably in need of getting rid of. There is huge demand she says and more creative people working outside the creative industries than in. Need to talk about creative people. It’s a difficult game she says. But “it’s yours”. TCCE had a conference on Creativity in Business recently. There are positive and negative aspects to creativity in business. Some of the positives are the world’s most iconic buildings. The problems to deal with are about people; and academics have a role to play. Where next for the creative industries? How about de-industrialisation. Let’s abolish or radically reduce copyright terms – make things move faster. Less agonistic and maybe more effective. Jeremy thinks that reducing the term to 12 years would be interesting but the incumbents won’t go for it – implausible. Rebekka questions the idea of deindustrialisation – and what it really means. Dani says it’s really happening and creation on the Internet is evidence of that. This country is “half deindustrialised” anyway. Danger of programming in schools is that it will be pushed into ICT education and they will not realise that to make good computer games you needed to bring together music, narrative, writing etc. Evelyn Wilson says we over fetishise the creative industries – the notion of boosterism cite by Kate Oakley. But what about what next for creativity? Rebekka says there is no shared view of what ‘creativity’ means – don’t want a definition but the recognition that we are all on different pages. Ghislaine Boddington says that internationally we have a good reputation and a very high level of quality for digital artists – it’s leading work worldwide. She mentions Creative Europe and the term Culture and Creative Sector – and says doesn’t mention “industry”. One contributor says that we shouldn’t underestimate the impact of the English language. Dani says she doesn’t agree – most of the work is of a visual nature – language is not important. We need the new stuff to come from creative work and be driven by that not led by industrial need. Rick Rylance mentions Creative Hubs, and the Nesta and Arts Council England. And he thanks Ruth Hogarth and other colleagues especially Evelyn Welch for their work. Goodbye everyone at #beyondtext and thanks for a brilliant day! @drrebekkakill Glad you liked the kids’ film Rebekka – good to see you at today’s #beyondtext day! Heading back after an excellent time with #beyondtext friends- great work, fine conversation. @drrebekkakill Nicky B who filmed you and Alice for #beyondtext and who spent most of today on her knees taking pictures!